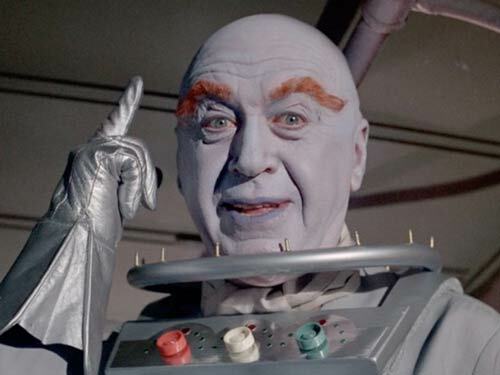 It's Otto Preminger's turn to be Mr. Freeze! Why does his version keep saying "wild"? What aspects of this version are better than the George Sanders version, and which are worse (aside from his demeanor on the set)? The script itself has more than its share of head-scratchers, as well as some bits of comedy (and camp) gold. And, wait... are there references in this arc to the 1940 film His Girl Friday? This episode, we go up against an in-office blizzard, an arm-injuring explosion, and worst of all... a little boy's "boo". PLUS: the City of Prague Philharmonic Orchestra's version of the theme, and a new iTunes review (have you written yours yet? )!